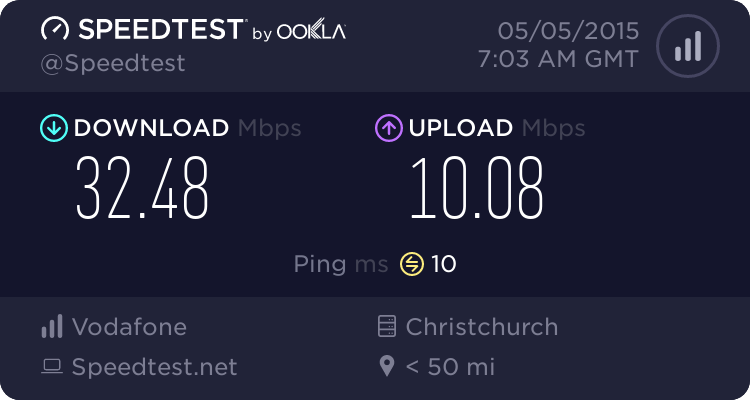 Upper Riccarton here, and I've also been getting awful speeds on the HFC network during the evening - I've recently been dropping below 10mbit/s on my 100mbit/s plan! I'm having to avoid decent streaming video entirely because of slowdowns and lag. Here are two speedtest results done this evening. Is there anything I can do to make this better, or does Vodafone really need to upgrade the network in our area? Have you logged a fault for slow peak time speeds on Cable? 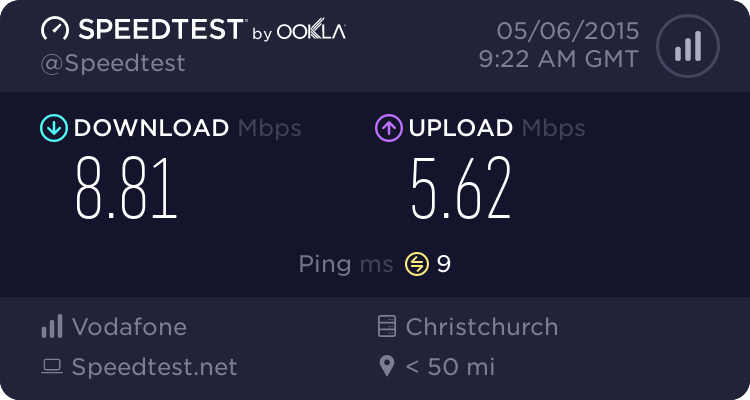 Riccarton is student flat central, and HFC is shared bandwidth media, so yeah I can believe it would be terrible during peak hour. There is UFB around here IIRC. Honestly just change to a provider like Snap that'll offer UFB. I'm in Upper Riccarton too though I haven't seen a drop that terrible though. 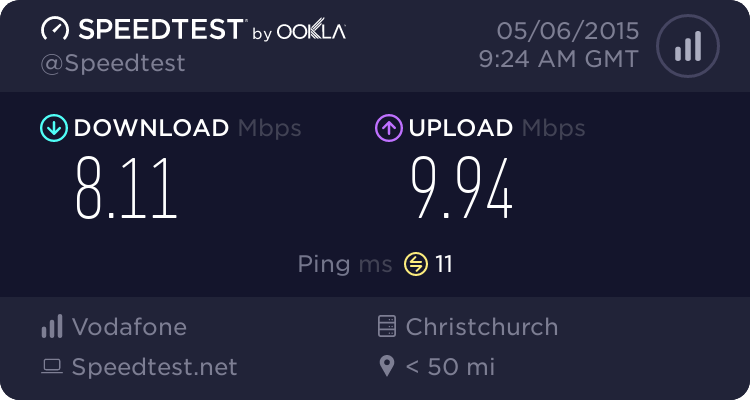 johnr: Have you logged a fault for slow peak time speeds on Cable? michaelmurfy: There is UFB around here IIRC. Honestly just change to a provider like Snap that'll offer UFB. It's being installed, but it's not yet available.